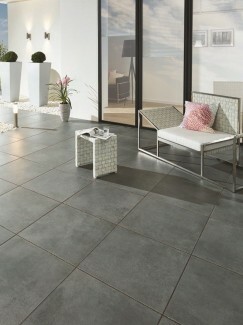 Porcelain Paving is a new product in the UK Market. Its our duty to provide our customers with the required information about Outdoor Porcelain Paving Tiles. Porcelain is Burned at 1400 degrees and that’s what gives it incredible strength and durability. 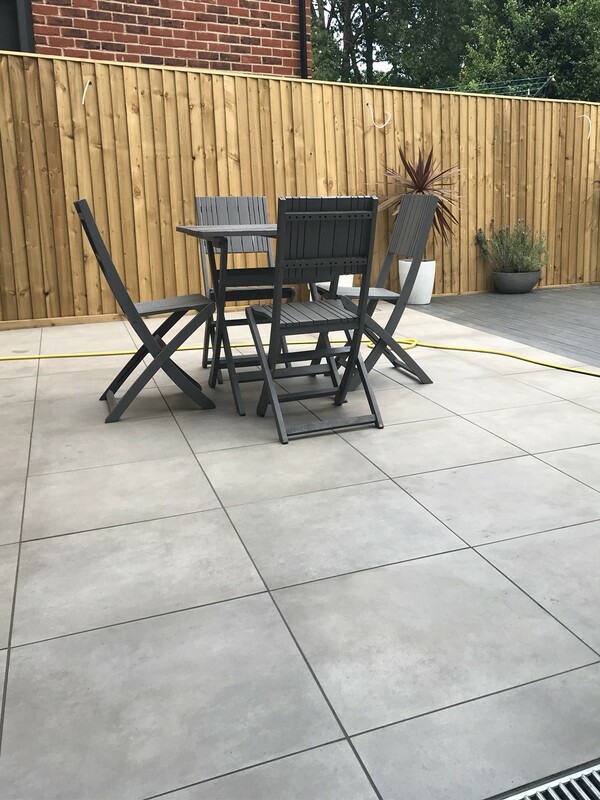 The technical thing is that when 20mm Outdoor Porcelain is made, the strength goes higher than twice of 10mm Porcelain which makes it completely Suitable for Garden Paving even with the highest of Foot Traffic. The market standard is less than 0.25%. The water Absorption in rate in high quality Outdoor Porcelain Paving like Royale Stones Porcelain Paving is less than 0.1% and that’s what makes us market leader in Vitrified Outdoor Porcelain Paving. 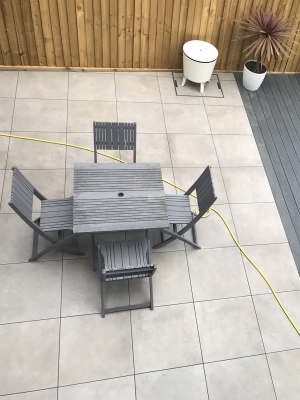 It’s understood that if Tile will not absorb anything it means that Stains and Marks will never be able to penetrate Royale Stones Porcelain Paving. Now you don’t have to be afraid of stains while doing Barbeque or Drinking Wine on your Patio. Doing these activities on Natural Stone Patio will always be a big risk no matter which Natural Stone Paving you buy. This low water absorption makes our tiles the best even in Vitrified Outdoor Porcelain Paving Range. It rains a lot in British weather and that’s why Patio Slabs need to be Anti-Slip for safety reasons. R11 is the best Anti-Slip rating that strikes a balance for being perfectly suitable for outdoors and not hard enough to hurt feet. In Anti-Slip its very important to strike this Balance because often you find companies selling R9 which is slippery for outside or R13 which is too rough to walk on and takes off the beauty of slabs. Royale Stones Outdoor Porcelain Paving Tiles are perfect R11 Anti Slip Rating which has been tested. Without good designs, all the specs are useless. When you go to market you see companies having few simple plain colours with no Characteristic that takes out the life of a Garden and makes it a bit boring. Royale Stones keeps more than 25 colours in sizes from squares, rectangular sizes, 1200*600 King Size, 1200*300 King Size Planks. So, you can have all the fun with so many Choices so that you never have to look anywhere else. 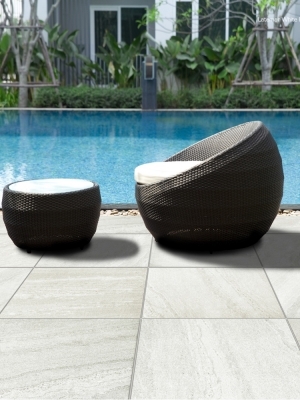 The main charm of Outdoor Porcelain Paving Tiles is that you can have exponential no. of designs that makes your Gardens look very Contemporary to go with the flow of your House. 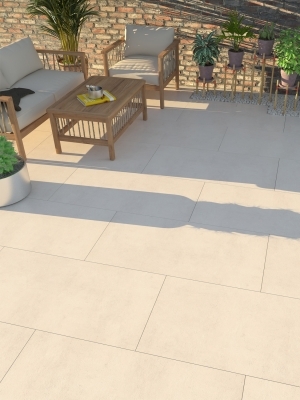 Royale Stones Outdoor Porcelain Paving will make your Garden Alive with the charming and contemporary characteristic of our Outdoor Porcelain Paving Tiles. We do Research and Multiple Factory visits before choosing any Supplier for Outdoor Porcelain Paving. Currently most of our Porcelain is Made in Europe with highest quality standards. We have suppliers in Europe and outside with best Machinery and best Designers for Outdoor Porcelain Paving Tiles. Moreover, we also make sure that all our Suppliers are Proactive with their duties towards Environment. Even after ensuring the best quality we can offer you Best Prices because of our Low Overheads. We as a company work on a principle to always provide our customers with the Best Quality Porcelain Paving Tiles at Best Prices. We always look at the bigger picture- The better service and quality we provide the more we sell. Porcelain is a manmade product, so it is very consistent but has Variance or Character given to it on Purpose by Designers, so it never looks boring. 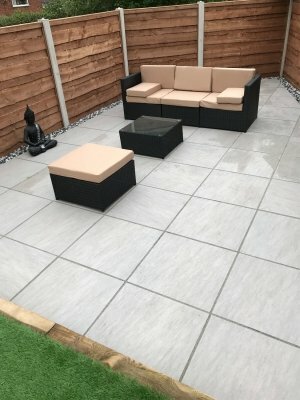 The Granite Paving has a much higher water absorption rate than Porcelain Paving which requires regular maintenance and staining is highly Possible. The water absorption in Royale Stones Porcelain Paving is less than 0.1% which makes it the lowest maintenance Paving in the Market. 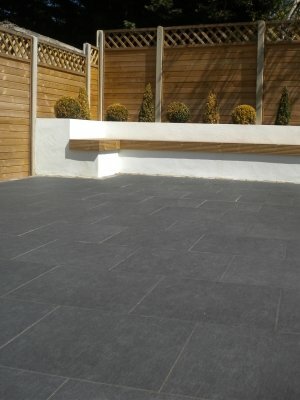 The Variety and Colours available are very much limited in Granite Paving. This is due to the fact the Textured Finish is only option to make Granite Anti Slip. 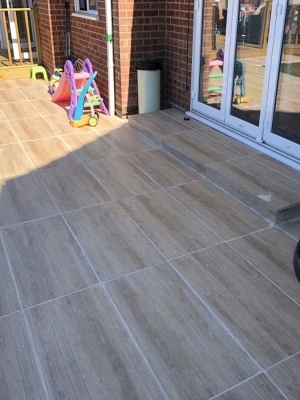 The Porcelain Paving has multiple patterns from waves, to wood effect, Granite Effect etc in many colours. Textured Granite Paving has got a very good grip making it Anti-Slip and perfect for Outdoors. Royale Stones Outdoor Porcelain Paving Slabs have R11 Anti-Slip rating which makes it also perfectly suitable for outdoors. 20mm Granite Paving Slabs have a very good strength properly suitable for Garden Paving. 20mm Outdoor Porcelain Paving Tiles also has very high strength which is even more than most Granite Paving Slabs.